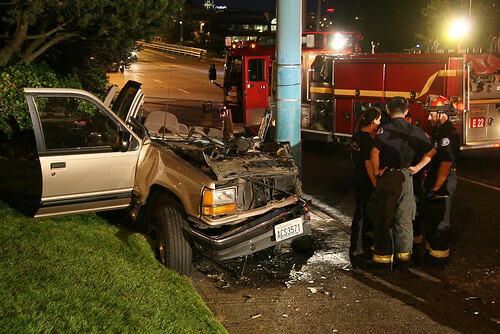 A 49-year-old man who drove his SUV into a light pole at Fairview and Galer in Eastlake on Friday evening was expected to recover from his injuries, according to a Seattle Fire Department spokesperson. The man was the only occupant of the vehicle. According to SFD spokesperson Kyle Moore, the unnamed driver was traveling north on Fairview at about 8:35 p.m. when his vehicle swerved off the road and plowed into the pole. 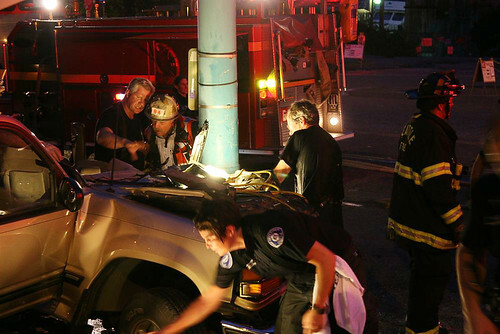 Two doctors from Madigan Army Medical Center in Tacoma who witnessed the accident stabilized the patient while they waited for SFD emergency crews to arrive. Moore said the driver was trapped inside the vehicle under the dash, emergency brake, steering column and seat. “The car sort of caved in around him,” Moore said. “It looks like he’ll survive,” Moore said. 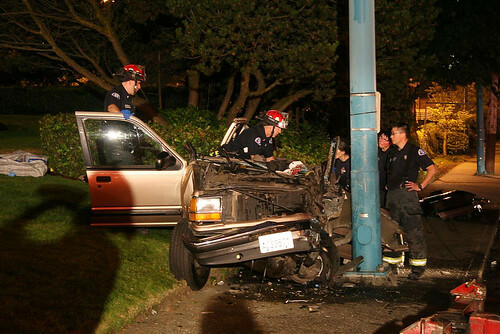 The driver was taken to Harborview Medical Center for treatment. 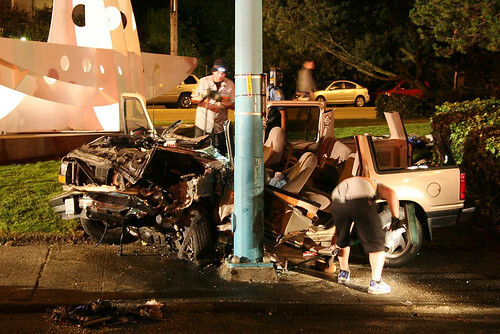 Moore said the Seattle Police Department will determine the cause of the crash after an investigation. This entry was posted in Uncategorized on July 13, 2012 by cdmilton.